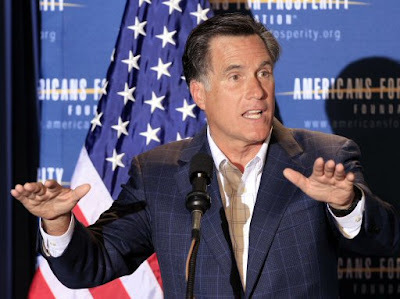 Mother Jones has released a very damning video of Mitt Romney at a closed door fundraiser to a crowd of millionaires, where he voices his lack of caring for 47% of Americans. Oh, and there's some serious irony as to who leaked the video to Mother Jones. Jimmy Carter's Grandson! Additional pieces of the tape were then added to a YouTube account called"Anne Onymous" starting three weeks ago. "There was a minor uproar about it on Twitter when I found [the first clip], so I kept doing research on it and that eventually led me to be able narrow down who it originated from," said Carter. Via Twitter, he contacted the person who claimed to have secretly taped and uploaded the video, and then sought to help publicize the remarks. "That seemed to be the purpose of [the filming] — to get it to a larger audience," Carter said. Having worked with Corn before, Carter noted, "It was a natural fit." He put the anonymous video source in touch with the Mother Jones reporter and then butted out, knowing he was onto something. "Any time that you can find a clip that strengthens the narrative already established, that's what becomes a big deal," Carter explained. "I've been trying to get paid for this but it hasn't worked out yet. This might help." So, Mitt has disdain for mostly students, the elderly and the disabled because they are a bunch of freeloaders! !